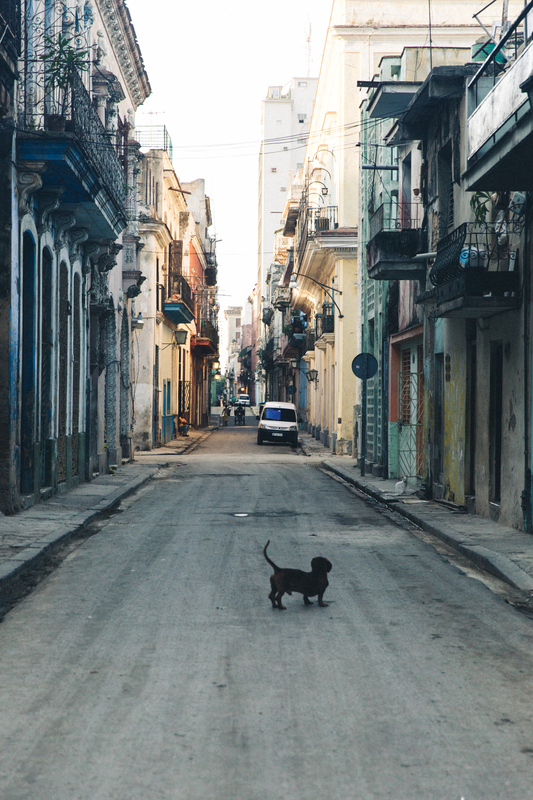 Havana - From the Road, a Cuba Travel Diary and Guide. Here it is! 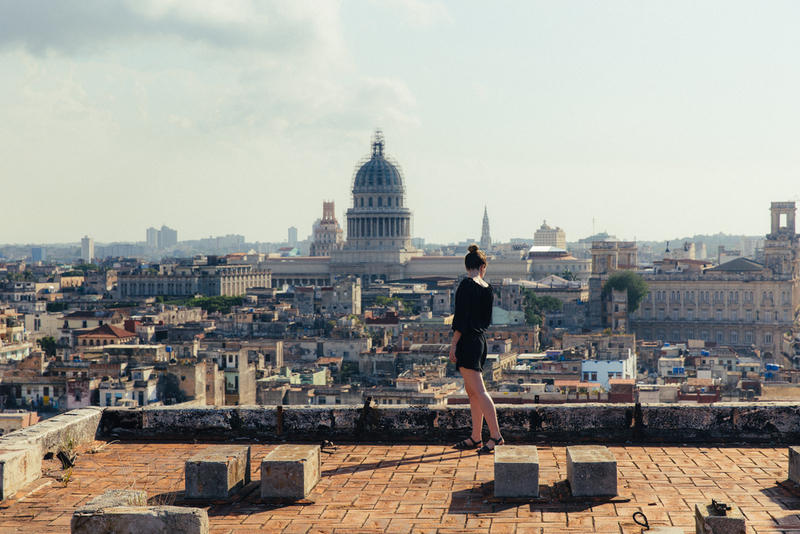 The first of my Cuba posts! I ran into a little trouble with editing my photos so that’s why it’s so late, but I took loads of notes while I was there so I have lots of useful info to share. Of course because it’s me this is going to be a really heavy photo post, but I’ll put all the information up top for easy access. Also I’m going to write an overall road trip guide on how we got from one end of the country to the other in two weeks without killing ourselves! That’s coming up in a few weeks. The next morning we got up early, had breakfast on the roof and took in the view over the city. The sky was so blue and it was already so muggy, but the heat felt amazing and the strong coffee jolted us out of our jetlag. Everyone told us that we had to change our pounds at the airport and that trying to do it anywhere else in town would take hours. We got to the money exchange at about 8:30 and waited for about half an hour to change our money – much better than the two hour queue at the airport! But I guess it depends what time you can arrive, if you can get there 15 minutes before it opens that’s for the best, otherwise the queue can get massive. The same goes for the internet place. In Cuba you have to buy internet for 2CUC (Cuban tourist money), and you can only buy it in one our tickets. The queue for that got pretty long but between money and the internet, Adam and I took a divide and conquer approach. 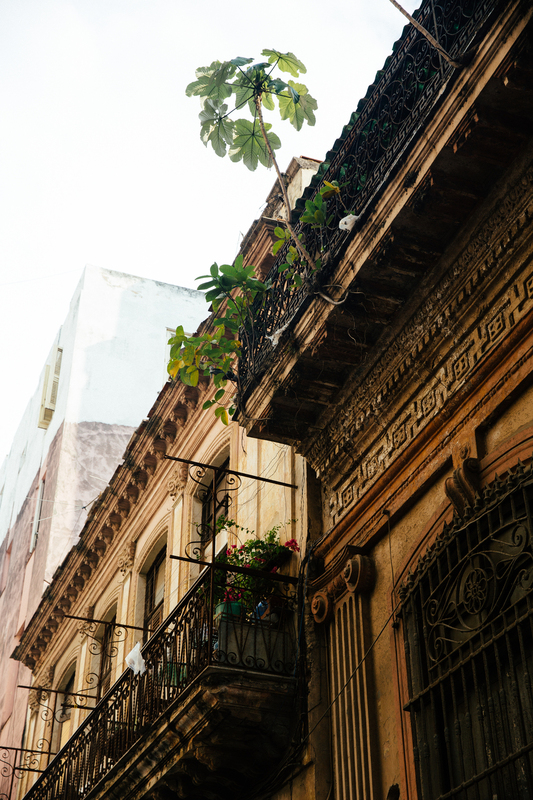 We spent our first day in Havana just strolling – as we usually do in a new place. We got lost, found ourselves again, ended up down some amazing streets and took things pretty easy. Sure we got harassed a little by people wanting to sell us stuff or take us on tours, but Havana feels very safe overall. We had lunch at La Bodeguita del Medio and our first Cuban mojitos! And they are absolutely the best. And way too easy to drink! I’m such a light weight, that we had to head home for a nap afterwards. We hadn’t heard of La Bodeguita del Medio before we arrived in the city, we only found it because of the crowds of tourists taking photos of the front. Adam was really put off but I wanted to take a look, and apparently it’s a pretty iconic Havana bar! And as it turns out, people want to take pictures but not really go in – so it turned out to be quite calm inside, full of history and music. After our siesta we headed out for ice cream at Copelia – Havana’s famous ice cream parlour! Big mistake. I’m sure it’s beautiful inside but queueing for hours in the sun for just average ice cream just didn’t seem worth it to me. So we decided not to bother - but if you really want ice cream there's a Copelia truck next door selling cones. Instead we ended up at the FOCSA bar at the top of the tallest building in Havana. The 360 view of the city is incredible, and the history of the building is pretty interesting too – so definitely bring your guidebook. And for dinner we went to El Chanchullero de Tapas because it was advertised as a “Hemingway did not drink here” bar – kind of a fun alternative to most restaurants all trying to say Hemingway was a regular. The mojitos were huge and delicious (of course) and while Cuba isn’t exactly a foodie paradise especially if you’re vegetarian, the food was pretty good! The next day it was really cloudy so we decided it would be perfect to take a city tour in a classic convertible – everyone does it, but there’s a reason for that. It’s a lot of fun! We just showed up to the square close to the capital building and picked our favourite car – you get accosted by loads of drivers but they respect each other and so they don’t all pile on at once. We looked for a driver that spoke English and had a great time seeing parts of the city we probably wouldn’t have seen otherwise. As the sun was setting we headed to the boxing arena on the other side of town – where some of Cuba’s Olympian boxers train and where kids spend their time afterschool. Boxing and baseball are two of Cuba’s most popular sports and kids are constantly getting involved in one or the other. The Rafael Trejo Boxing Gym isn’t exactly advertised as a tourist spot (I don't think it's even on Trip Advisor) and it’s in a rundown part of town, but they are very welcoming and of course eagerly look for donations to help train the kids. Also it’s kind of amazing for photos, I’m going to do a separate post on that! That night and the night after we went to La Lluvia de Oro for more mojitos and live music! It was absolutely incredible. 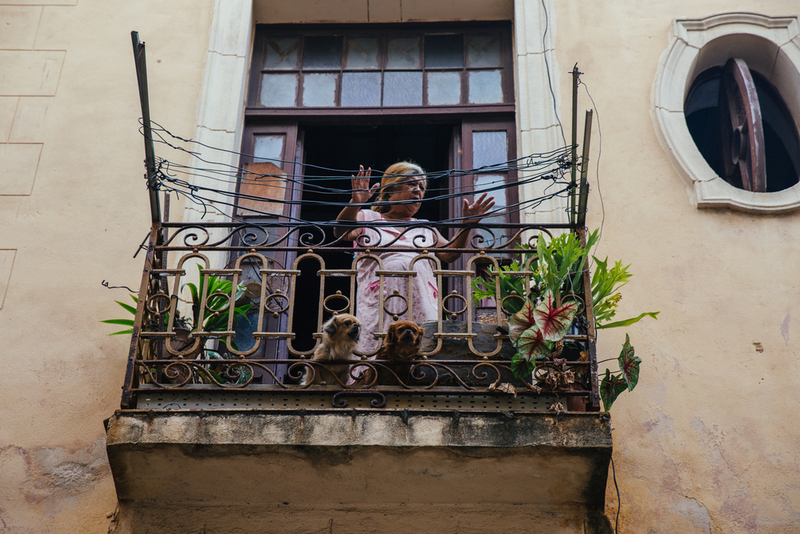 Everything about Cuba is just as you would hope in that it’s truly authentic, but the singing and dancing that went on at La Lluvia de Oro was so much of what I hoped Havana would be and I just couldn’t get enough. We stayed there for hours and had dinner, which was ok, and the waiters were kind of grumpy – but when you’ve had a few mojitos is not really a big deal. But overall it was very atmospheric and felt a bit like a dream. 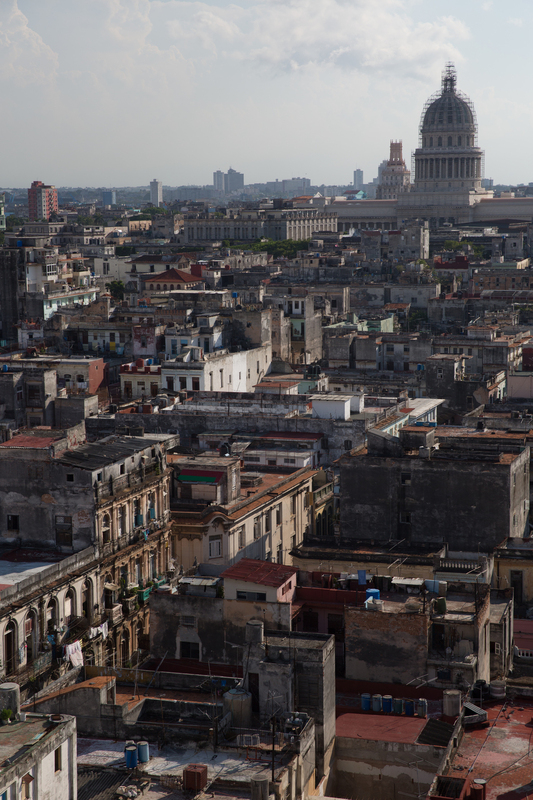 The next day was our last in Havana and was also the hottest day of our whole trip. We walked around and explored the city again in the morning, but after a while it just became too hot to do much else. We cooled off in the airconditioning and got to planning our road trip in detail, had a fairly good lunch at 5Esqiotas Trattoria and spent some more time exploring. 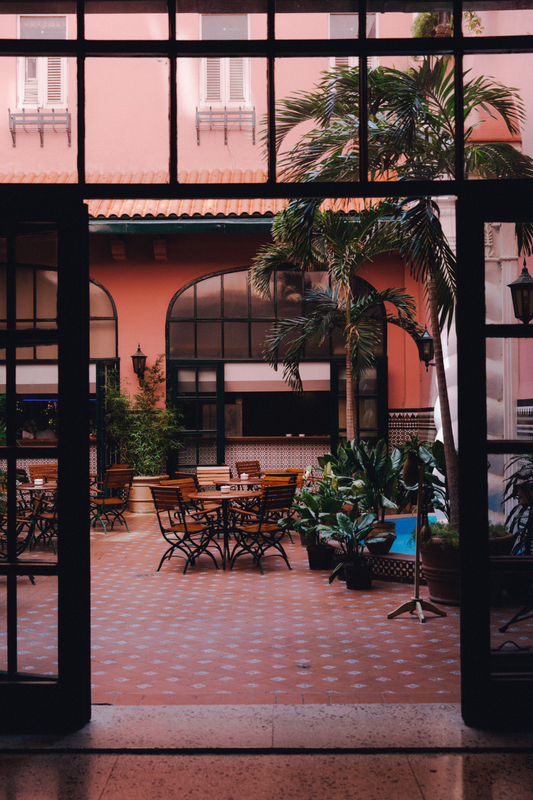 On one of his solo walks around the city Adam discovered a really tall building that seemed mostly deserted apart from a woodworking shop in the lobby of what turned out to be an abandoned bank. Adam speaks no Spanish but somehow he managed to ask one of the guys if it was possible to get onto the roof – which showed another amazing view over Havana, and also the inside of what was once obviously a beautiful building now in crumbling. 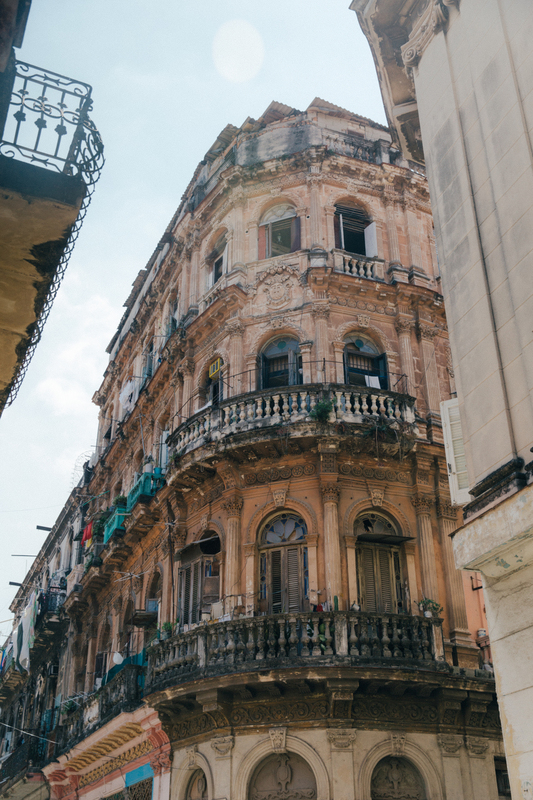 I think we climbed 15 flights of stairs at sunset, sometimes jumping over holes in the floor and sometimes fumbling in the pitch dark – but when we arrived at the top the experience was one of my favourite from Havana. That night we went to watch more live music at one of the more touristy “organised” nights out – I wouldn’t recommend it and we left halfway through. There is more than enough live music on around Havana in clubs and bars, we didn’t need to pay for a show and I wouldn’t recommend this to anyone.